Provisional data show that in August 2017, the Latvian airline airBaltic carried more than 380 000 passengers or roughly 20% more than in the same period of 2016. During the three summer months, airBaltic has transported a total of more than 1 150 000 passengers to its network spanning Europe, Scandinavia, Russia, CIS and the Middle East. “When we worked on the Horizon 2021 business plan a few years ago, we set rather high ambitions for the airline. Still, we never expected to see such rapid growth such early. We hope to finish 2017 with excellent results, as our winter sales look rather promising as well,” Gauss noted. airBaltic has completed more than 3 527 scheduled flights and flown over 9 319 block hours with the brand new Bombardier CS300 aircraft. 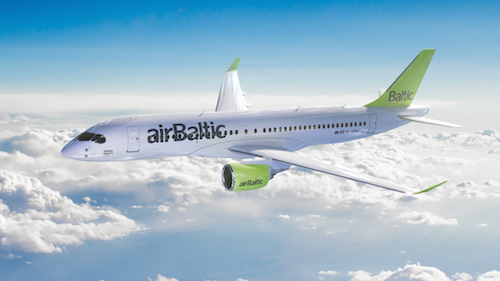 As of now already every fourth passenger of airBaltic is flying CS300.